Powered by Aboriginal Link ®, this highly specialized portal is fully-dedicated to assisting individuals interested in locating and attending conferences and events of specific interest to Canada's Aboriginal Peoples. Events related to skill development, community improvement, economic development and 100's of other topics are identified and posted on this site. AboriginalConferences.ca provides some of the best Aboriginal events in North America. This one day forum will focus on land development opportunities for Aboriginal communities and their partners. Learn from industry leaders what the opportunities are and how to develop them. 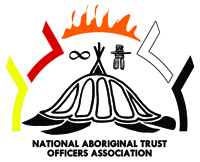 National Aboriginal Trust Officers Association (NATOA) is pleased to present the 5th Annual General Meeting. The meeting will be held in Winnipeg, Manitoba at The Fort Garry Hotel. NATOA is commiftied to providing the Aboriginal Peoples of Canada with the resources and information that will help them efficiently create, manage, and operate trusts as a means to ensure the seven generations yet unborn, can benefit from the goals and dreams of the present generation. NATOAs goal is to be a highly professional and relevant resource for the Aboriginal Peoples in becoming self-sustaining and vital economic communities. Building Economic Stability for Aboriginal communities with Investment Strategies for a Prosperous Future. The Grief Recovery Certification is unique training that is designed specifically to assist all who wish to help those with broken hearts retake a productive place in their lives due to; The Loss and conflicting emotions caused by Residential School Abuse. Loss of family or a community member, Family violence, Suicide, Addiction, and more. Hawks Trading Post would like to formally invite you to the Grand Opening of the Native Art Exhibition, an art collection exhibit in honour of our ancestors titled “The Forgotten”. A testiment to the joys and tragedies of growing up marginalized within a small community. Keep current with the latest updates and postings.